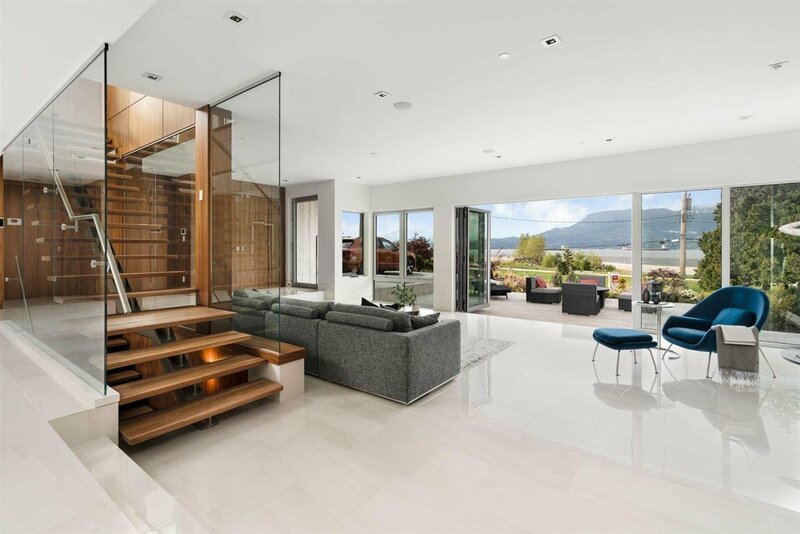 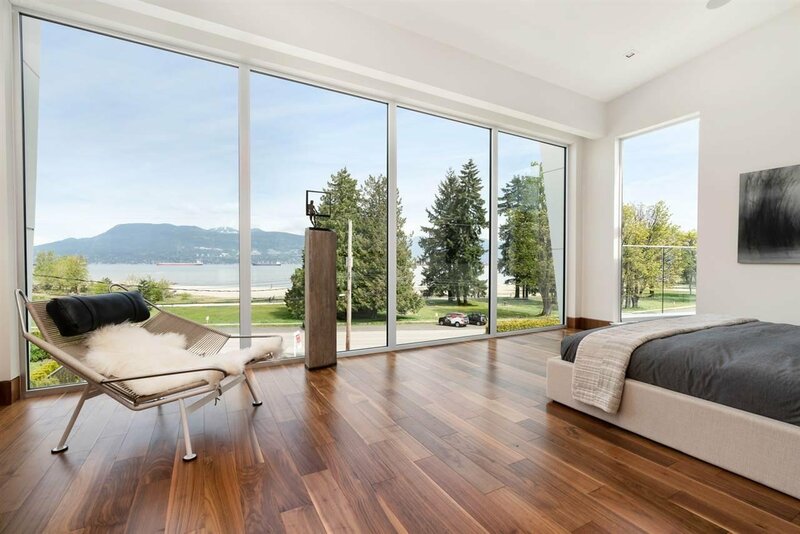 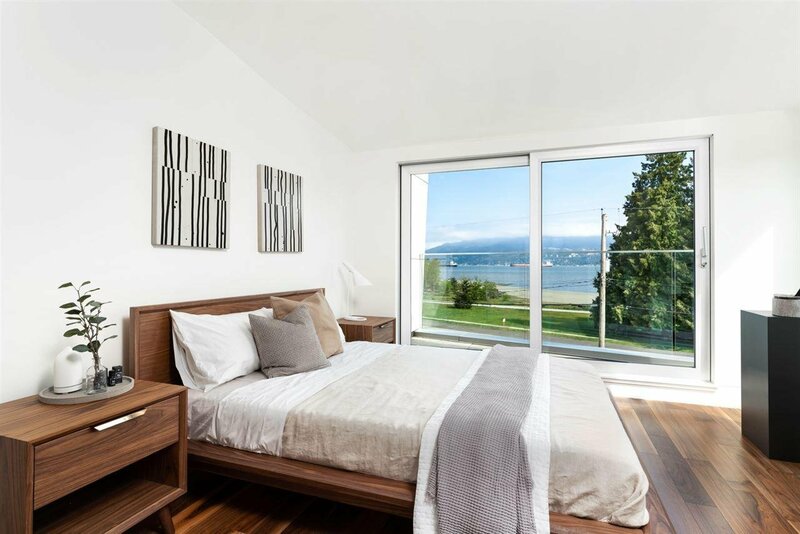 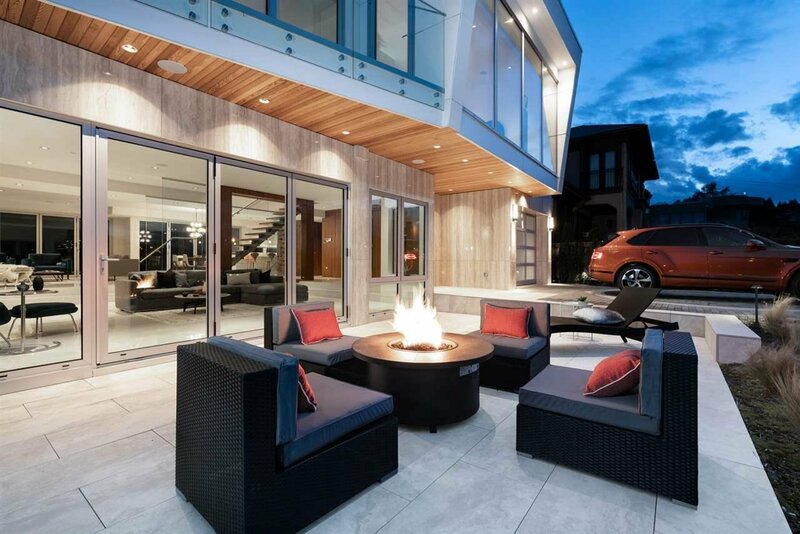 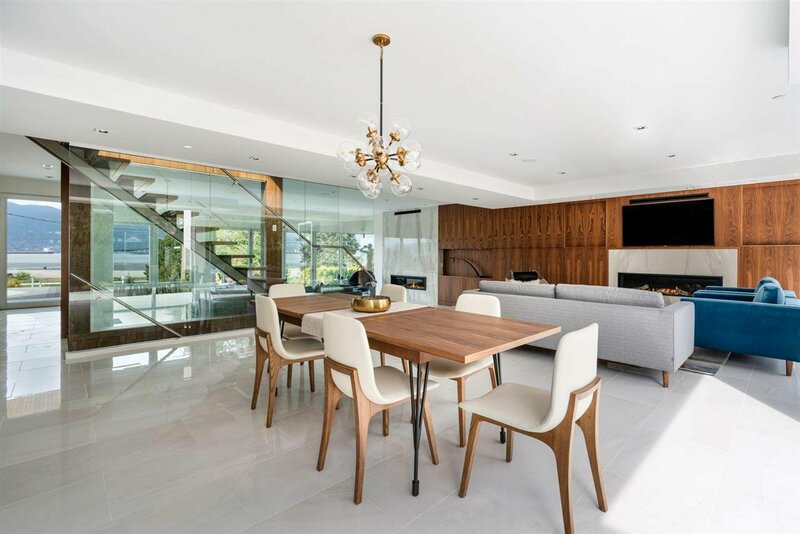 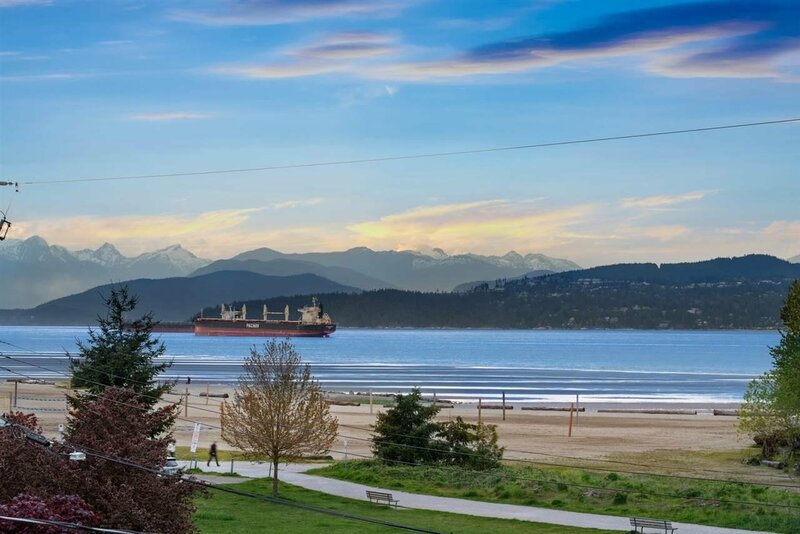 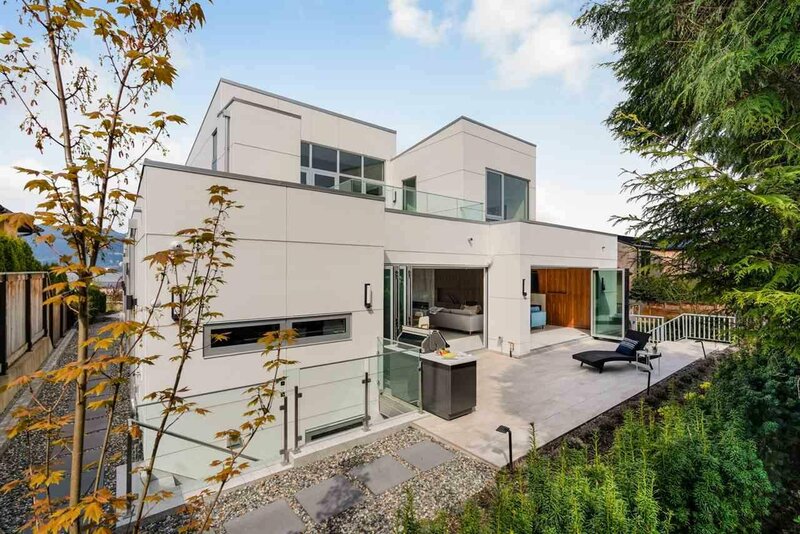 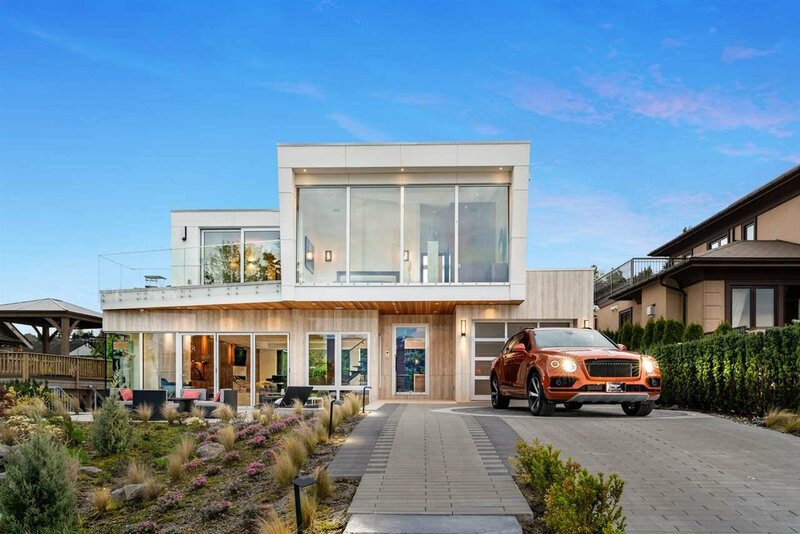 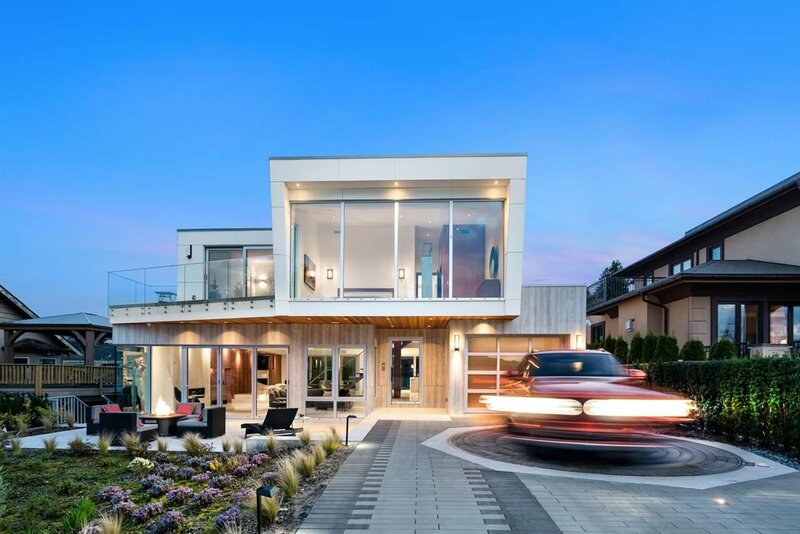 Exquisitely executed new architectural home across Spanish Banks beach w/unobstructed vistas of ocean& mountains. 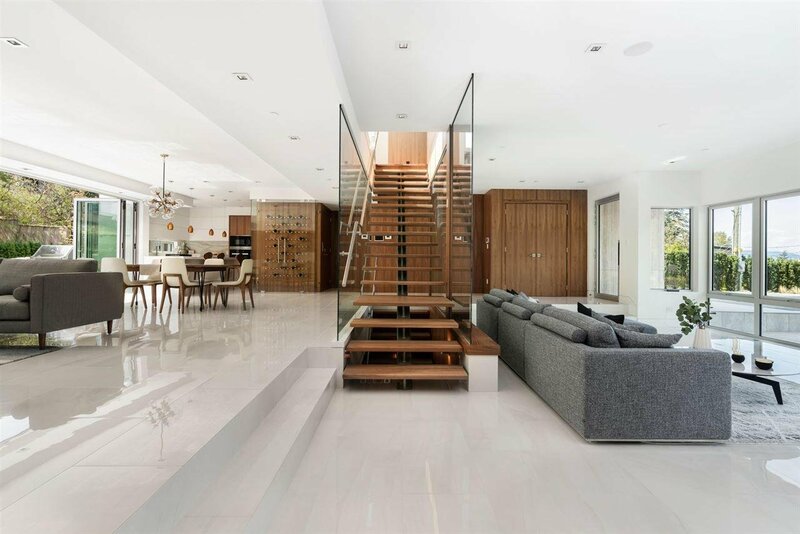 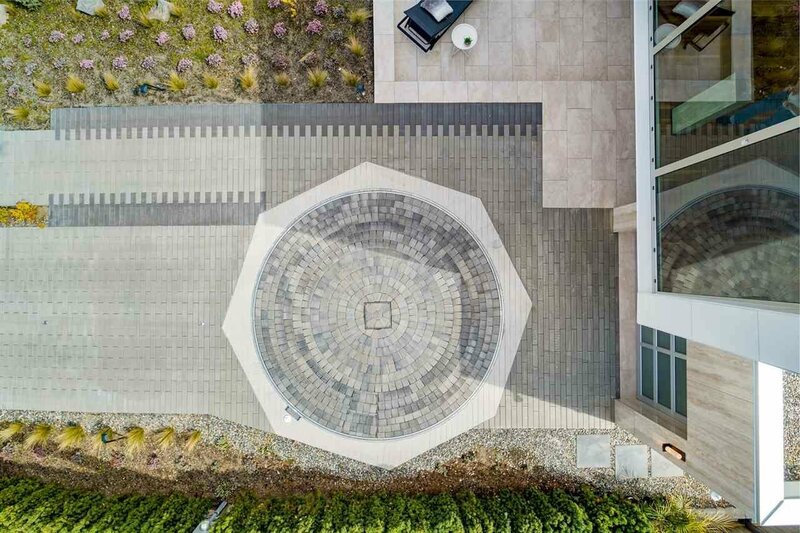 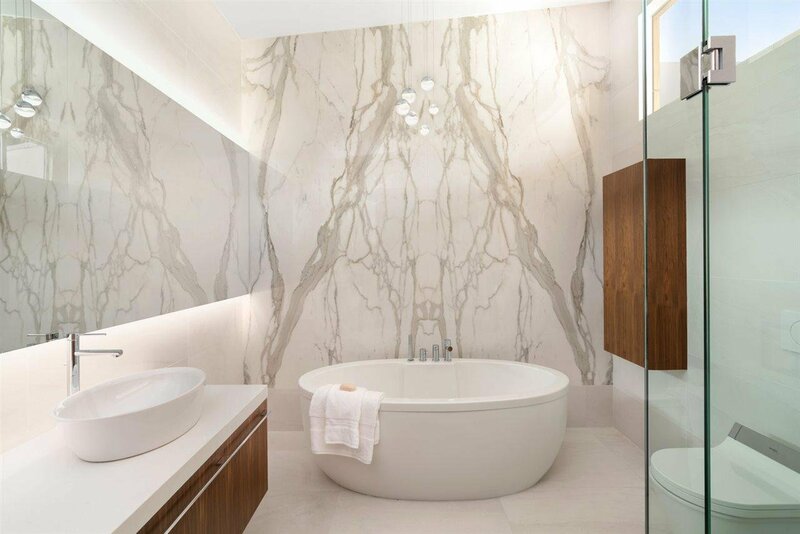 Spanning 3 floors, 5,000 sf, 4 bdrms, 6 bath residence showcases masterful design & modern luxury. 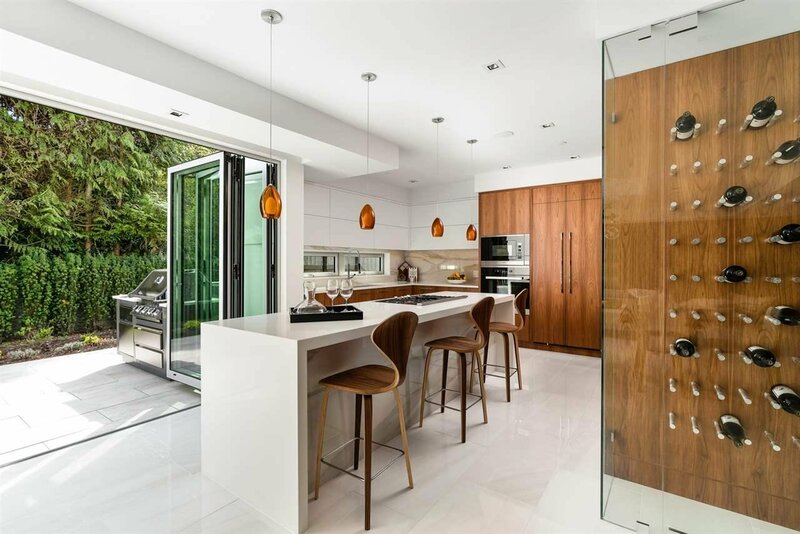 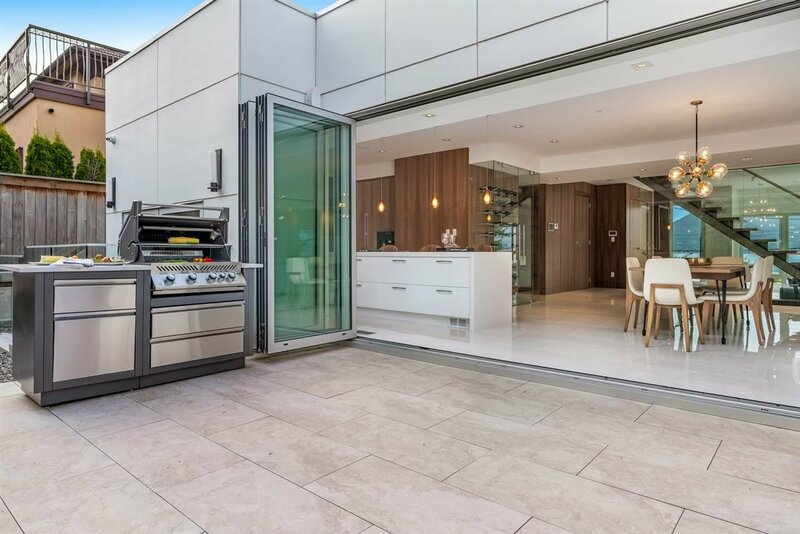 Gorgeous white tiles & book-matched walnut millwork paneling on main floor creates seamless living w/fold-away doors to outdoor terrace. 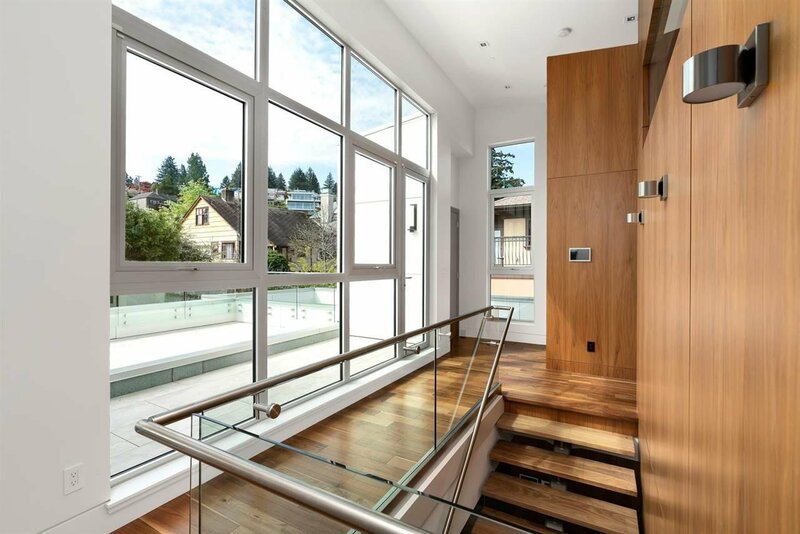 Floating walnut & glass staircase takes you up to your private living spaces or down to the casual play area – theatre, wet bar & spa. 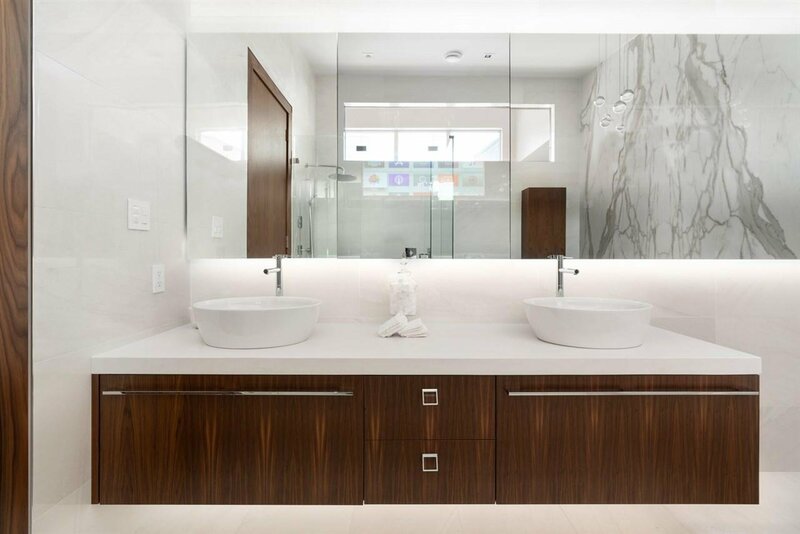  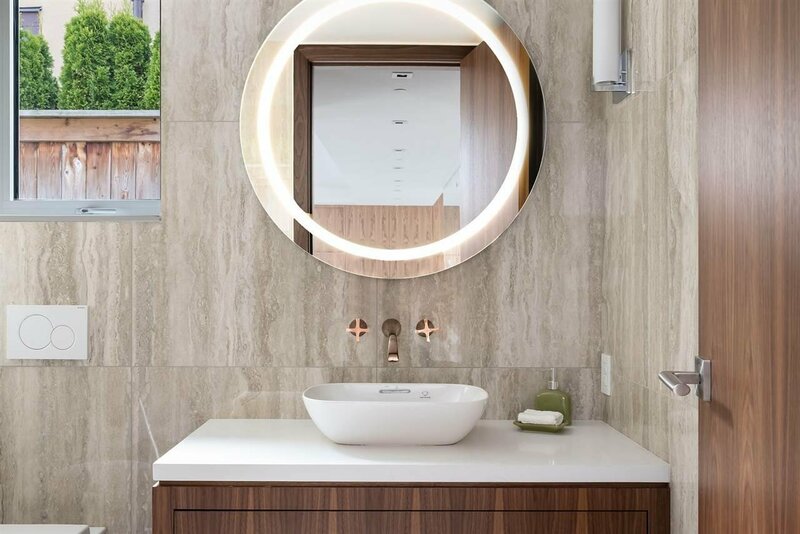 The list of features is endless – every detail carefully selected & quality crafted from black walnut flooring, Caesarstone counters, marble backsplash, imported hardware & accessories. 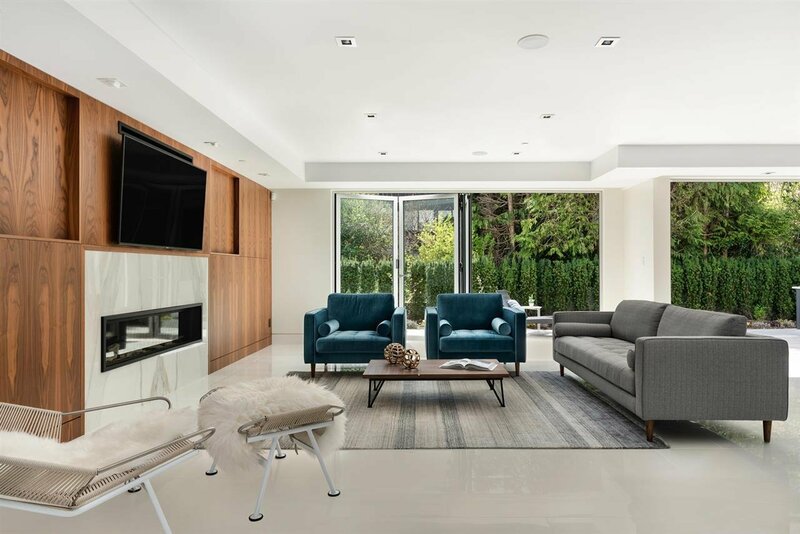 Equipped w/elevator, 2-tier car garage & driveway turn-table for easy maneuvering, this exceptional home is one of a kind.